There are a lot of destinations on my travel bucket list, but Denmark has been up there for a while now. A perfect blend of old and new, Copenhagen’s colourful streets merge old tradition with modern innovation. Repeatedly voted one of the happiest countries in the world, take one look at the Danish capital’s colourful townhouses and anyone would be hard pressed not to feel bright. With its awe-inspiring architecture and fairytale streets, this city will bring out the photographer in everyone. While you’re not ticking the cities’ famous attractions off your bucket list- the beautiful harbour of Nyhavn and the Little Mermaid statue to name a couple, explore the city like a local and head out to one of the cities many galleries, cafes and restaurants. Foodies will love the authentic Nordic cuisine, with a modern twist. The Danish have some of the lowest obesity rates in Europe, but that by no way means that their diet is boring. Dine like a local and head out for brunch in the trendy Vesterbro area, or try one of the Smørrebrød, (Danish open sandwich) and of course, it would be criminal to leave the country without trying a Danish pastry, in their very own country. I’m in love with the Danish concept of Hygge, a term loosely used to describe togetherness, family and a celebration of the simple things. Any country that has a word for cozying up in the winter months gets my vote. Although prices in the country are high, flights can be cheap. I was browsing for last-minute flights last week, while looking for a place to go and it was one of the cheapest. So If like me, you’ve only got a couple of days in the city, there’s more than enough time to soak up the sights and enjoy the Danish lifestyle. 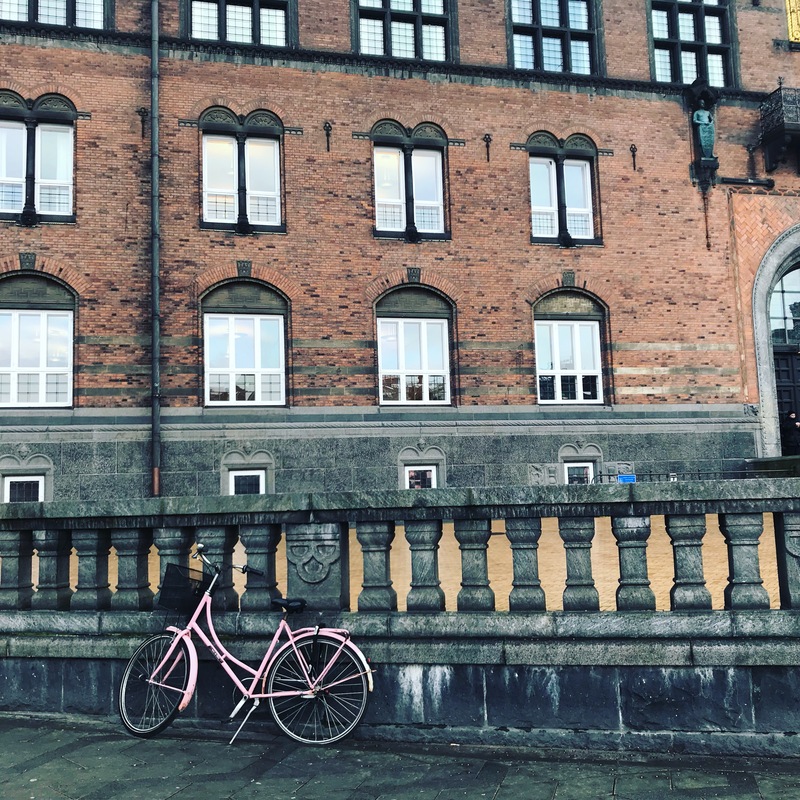 Here’s my guide on how to spend 36 hours in Copenhagen. Once you land, take the train or metro to Copenhagen Central Station and head to the beautifully ornate city hall square to orientate yourself. From here you can walk down the Strøget, one of the longest shopping streets in Europe, and make sure to visit the original Lego Store. About halfway down the street, gourmet eatery, Cafe Norden shouldn’t be missed. Its impressive architecture will draw you and its heavenly pastries will keep you there. Cafe Norden is not budget friendly but its the perfect place to grab a cup of coffee and a bowl of tomato soup and watch the world go by. With a much lighter pocket, and a full stomach, your next port of call has to be the iconic and beautiful harbour Nyhavn. Take your snaps, and then take it in. If you’re visiting in the winter months, then prepare for the cold, the area by the harbour gets chilly. As it starts to get dark take a walk via the beautiful streets of Snaregade and Magstraede. These winding, cobblestone streets are some of the oldest and the most colourful in the city, and you’ll start to get a feeling of what Hygge is all about as you wander down these streets, past cosy little cafes lit by candlelight. If you’re only staying for a quick break, I’d recommend staying near the central station. From here its easy to get to and from the airport, as well as walking to the main city sights and to trendy Vesterbro. Although accommodation in Scandinavia is not cheap, you can still find plenty of budget places to stay. I stayed at Steel House which was technically a hostel but really more of a hotel. You can opt to stay in a dorm or private room and it is super modern and clean with a nice computer area, pool, kitchen and common area. I really liked its minimalist Danish decor, and it was only five minutes walk away from the station. After you’ve dropped your bag off, it’s time to eat again. Quirky cafe, Paludan Bog & cafe is a good place to grab a bite to eat. This bustling place is half cafe, half bookshop, although really it’s more about the socializing than the reading. They serve coffee, cake, along with a large food menu and alcohol so it’s the perfect place to settle down for an hour. It’s not a city break if you go to bed early and Copenhagen has lots of cozy bars to pass the time. We went for cocktails at cozy bar, 1105 in the city centre. Be sure to try one of their takes on a Gin and Tonic. The next morning, wake up slowly and join the locals at popular brunch spot, Mad & Kaffe, in Vesterbro. Expect a little wait, this place is always packed and for good reason. The brunch menu contains lots of small dishes such as sourdough bread, scrambled eggs with chives, homemade cinnamon buns and chilli avocado, that you can mix and match. You can choose between three, five or seven dishes. The decor is cute and the atmosphere is infectious. If you’re after something a little different from your regular museum then be sure to give the Design Museum a visit. This showcases the best in Danish design, from furniture to clothing and is a great place to get interiors tips. Entry is 115 DKK, or free if you’re under 26 or a student. You’re in the right part of town to pay a visit to the little mermaid. Head to the water, and walk along the coast and you’ll find her sat on the rocks, sadly gazing out. Before you leave the city it would be a crime to not make a thing out of Danish pastries and coffee. Apparently, the best cafes are Leckerbaer and Brød, but I just settled for a little bakery with seating, on my way back to the train station. The apple Danish was delicious but the stodgy and sticky cinnamon bun was definitely the one for me. Getting to and from the airport: Catch the train from Terminal Three to Copenhagen Central Station. The trains run every 10 minutes in the day, or three times an hour at night, and the journey takes 13 minutes.